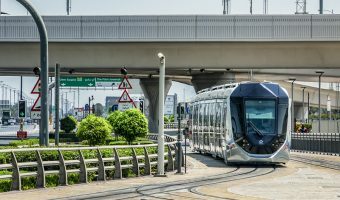 The interactive map below shows the route of the Dubai Tram plus points of interest such as hotels and tourist attractions. The Dubai Metro is also included. Click on any station or point of interest for additional information. The map incorporates Google Street View technology. To activate it, drag the Google Pegman onto the map. Any streets that have been photographed will be highlighted.